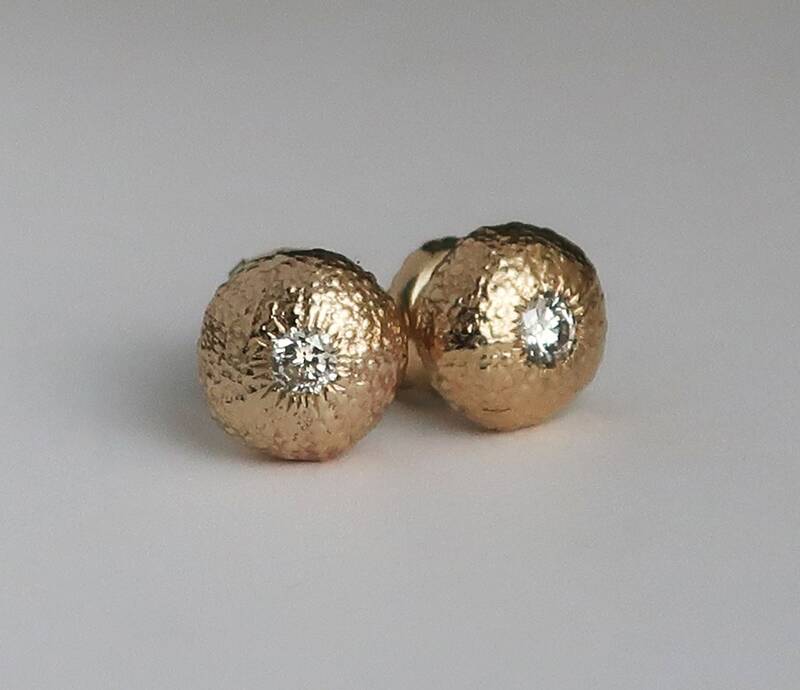 These solid 10k yellow gold Sea Urchins were molded and cast from a tiny cushion sea urchin found by my great aunt in the 1950's. 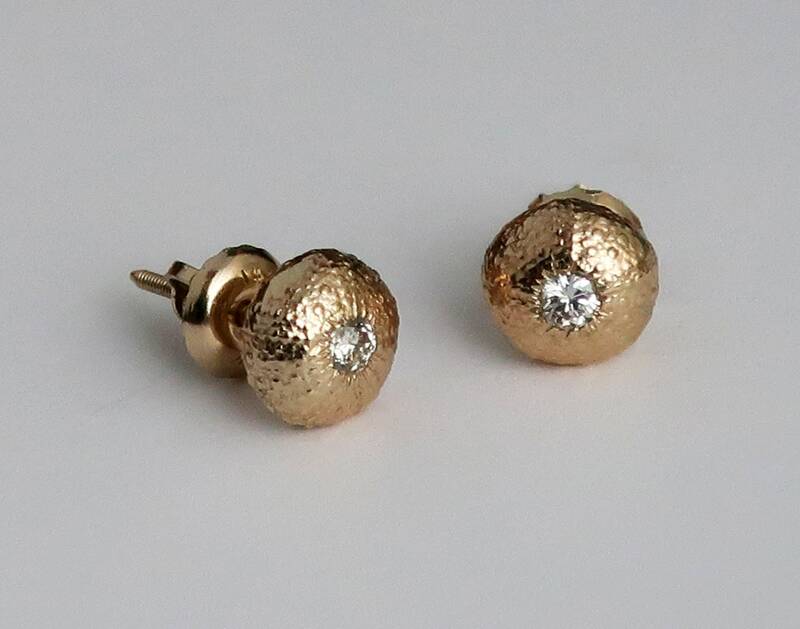 The centers of the urchins are set with sparkly white upcycled 2.6mm genuine round faceted diamonds. 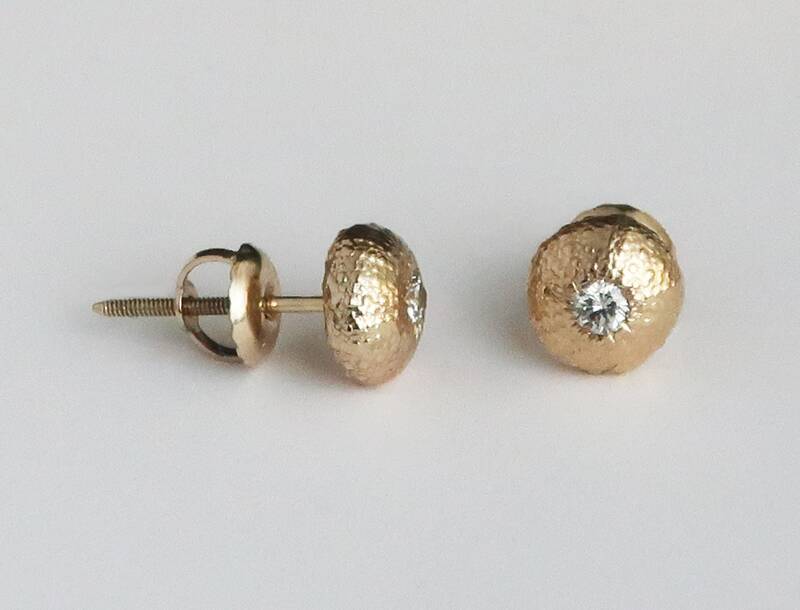 The sea urchin measures approx. 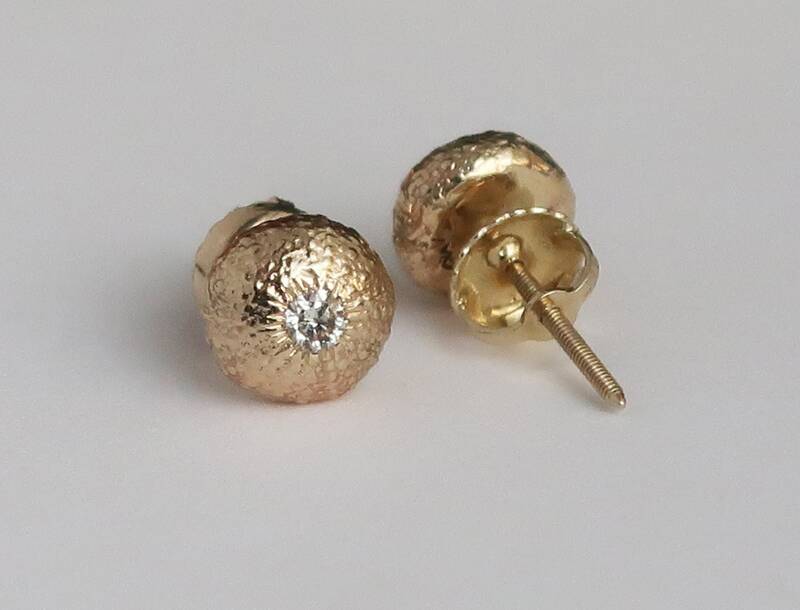 6.5mm in diameter X 3mm high. 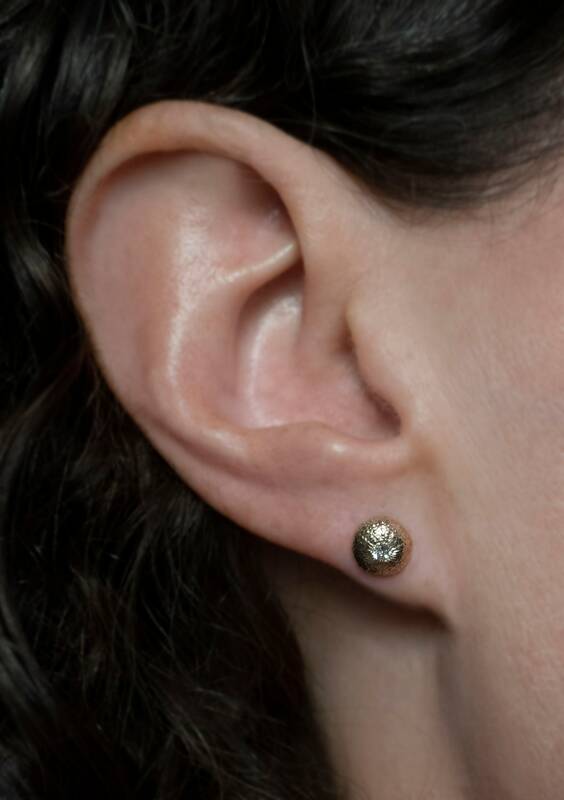 Earrings have approx. 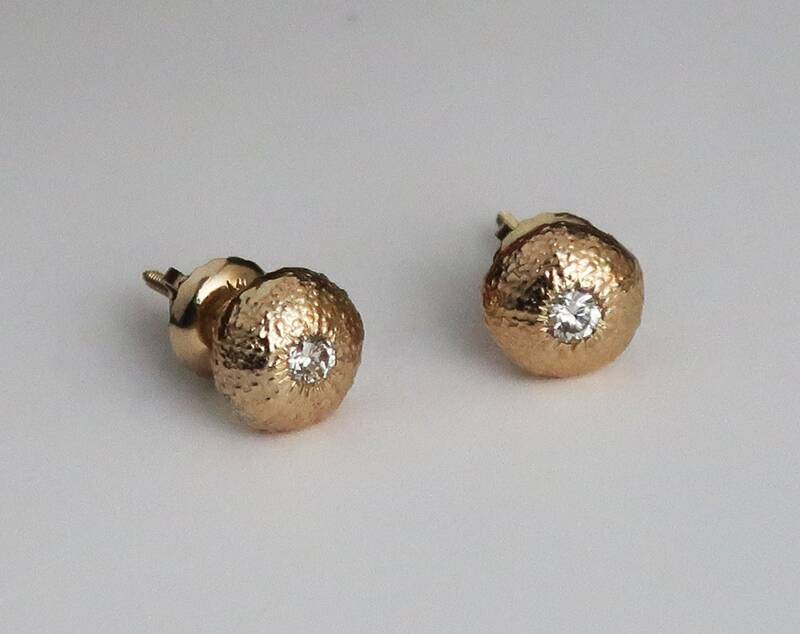 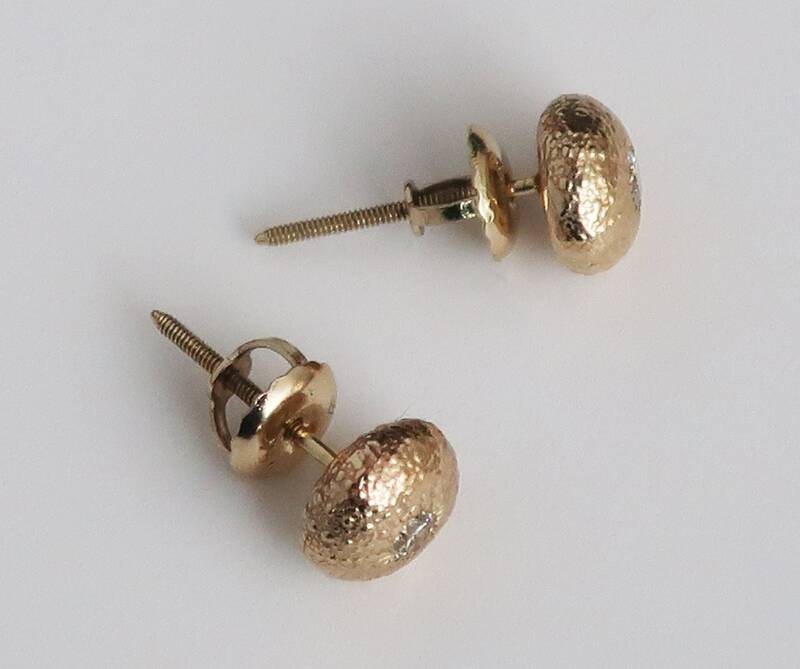 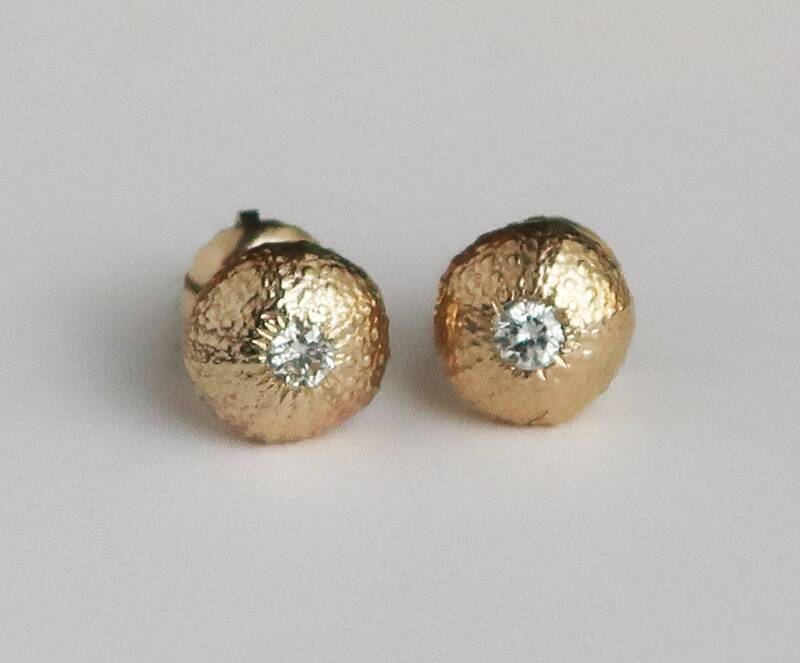 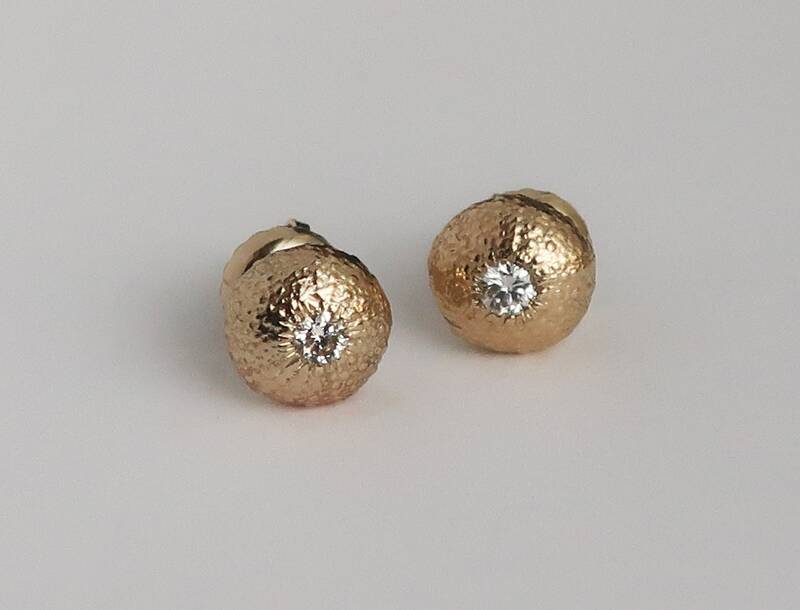 11mm posts with screw backs, both are solid 14k yellow gold.